Della Faille, Dimitri. 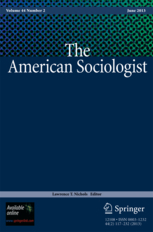 « Sociology on Latin America in the 1960s: Developmentalism, Imperialism, and Topical Tropism », The American Sociologist, vol. 44, no. 2, 2013, pp. 155-176.